Chris Mundell and I have been working on a collection of his original worship songs for many years now. 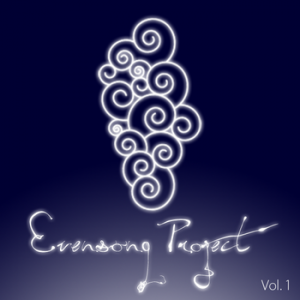 I’m proud to finally announce that the 11-song album entitled “Evensong Project” digitally dropped on the world yesterday! Honest lyrics, catchy melodies and lush harmonies are melded together with rootsy folk and ambient rock. Some rhymic mid-tempo rockers are mixed in with the classic meditative tunes you’d expect from Mundell. Band members included: Erik Herzog, Brad McCarter, Matt Knoles, Jennifer Miller Schatz, Dan Patterson, Angela White, Matt Wood, Chris Mundell and myself. If you like Iron & Wine, Sufjan Stevens, Evan Wickham, Coldplay, Wilco or Chris Tomlin then you’d probably like this album.